With warm temperatures, plenty of sunshine hours and spectacular locations, the greens of Andalusia are popular with golfers from all over the world. 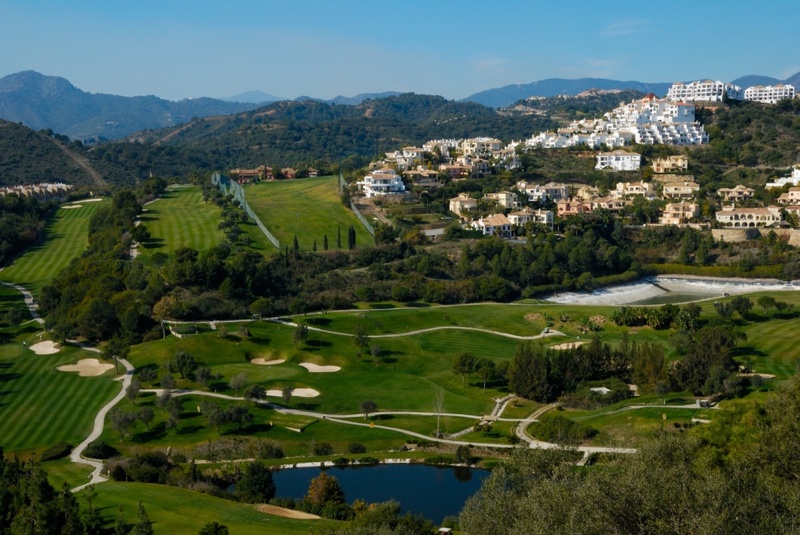 The provinces of Malaga and Granada have plenty of great golf courses, some with fantastic sea and mountain views. Europe’s first desert golf course can be found in Almeria. Andalusia is home to some of the best water parks in all of Spain, which offer great opportunities for fun during the warm summer months. The Aqualand in Torremolinos was Spain’s first water park and offers many different slides as well as minigolf, Jacuzzis and a sea lion show. The Parque Acuatico in Mijas has a wave pool, raft slides and a full entertainment program. One of the region’s largest water parks, Aqua Velis, is located in Torre del Mar and offers 21 different rides. Take the chance to see the world from a bird’s perspective as you parasail along the Costa del Sol. With views of the beach, the towns and the mountains beyond, it’s an experience to be remembered. You can also try paragliding, a combination of parachuting and hang gliding, in the more mountainous regions of Andalusia. Zoos offer a great day out and a chance to see some spectacular wildlife in beautiful surroundings. The well-known zoo in Fuengirola has won several awards and boasts an impressive selection of tropical species in a paradise-like setting. Its main attractions are the white tigers, but make sure not to miss the chance at a close encounter with four different kinds of lemurs beneath the Baobab tree. The Selwo Aventura park in Estepona hosts 2.000 animals and offer a chance to see elephants, cheetahs, hippopotamus and giraffes while riding an all-terrain safari vehicle. Much smaller but no less interesting is the Lobo Park outside Antequera, where you can come up close to four different sub-species of wolves in stunning natural surroundings. 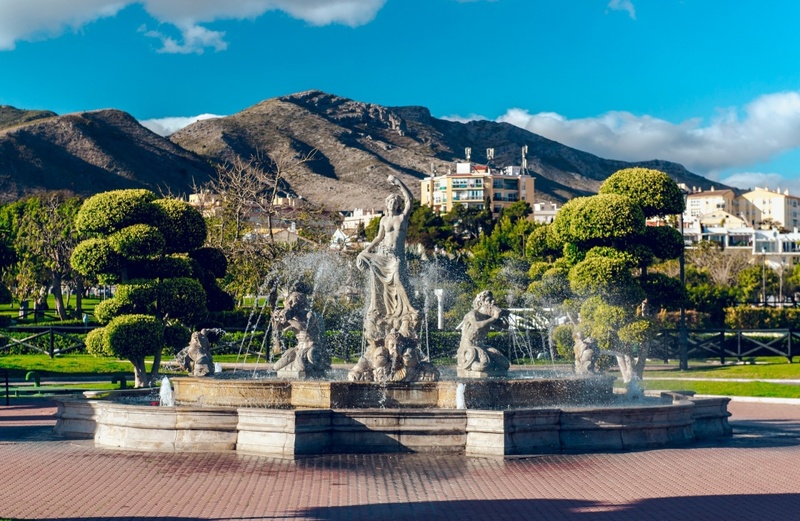 The Tivoli in Benalmadena is set among tropical gardens, fountains and plazas. With over 300 rides and attractions, several different restaurants and an outdoor theatre seating up to 3.000 people, it is sure to entertain you for the duration of your stay. The Strait of Gibraltar is home to several groups of dolphins as well as migrating killer- and sperm whales depending on the season. Several companies along the coast offer to take you out for a ride and give you a once-in-a-lifetime wildlife encounter with these magnificent animals. Andalusia offers some of Europe’s best climbing outside the Alps. The highest peak on the Iberian peninsula lies in the Sierra Nevada mountain range and offers plenty of great climbing in a stunning location. The area around El Chorro, only an hour away from Malaga, and the Sierra de las Nieves, between Malaga and Ronda, are other popular destinations for both beginners and experienced climbers.